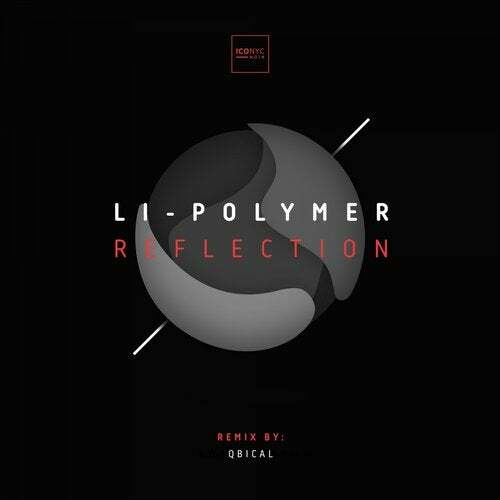 With 'Reflection' we welcome label alumni Li-Polymer back to the label. Li-Polymer who hails from Portugal delivers a grooving deep progressive house roller infused with gentle chords, subtle string ensembles clinical percussion with a beautiful driving lead line. 'Reflection' is a club inspired piece of deep progressive house that features Li-Polymer's trademark string manipulation, as all manner of elements drift in and out of earshot. Perfect for sun kissed spring evenings and to get you in the mood. On remix duty we welcome Dutch maestro Qbical, famed for his intricate and refined productions. He created a rework full of tension from the word go, as the atmospheric vibe subtly keeps you moving with warm tinkling sounds, a smooth edge and some nicely effected sounding pieces. We basically have the formula for a bit of a monumental outing. The groove is the key here, as this gem works its magic while it plays away, creating a warm glow, creating an air of sophistication. "Essential stuff!" Li-Polymer has developed a unique style which endeared him to us over the years; having established his credentials as an established talent from the endless conveyor belt of Portuguese talent, 'Reflection' showcases Li-Polymer's talents in taking them a step further with his deep progressive influenced productions. Another essential ICONYC Noir release from the heart, for the dance loving soul. Highly recommended! Li-Polymer's 'Reflection' sees a worldwide release on April 15th, 2019.